Have you ever had a resident’s family feel their loved one isn’t receiving the level of care they deserve from your assisted living facility? Unfortunately, despite your staff’s best efforts, this is a common occurrence as residents are not always able to correctly relay the level of care or activities they participate in. RTLS In Motion can help combat this widespread problem in two ways: the first is by providing family with comprehensive reports that show residents activity for the last period, including: each activity attended, any help calls, how often they left their room, as well as the frequency and duration of all staff interactions; The second is peace of mind, knowing that their loved one is not being ignored and that they have seamless access to help from anywhere on campus with our wireless pendants. When a family decides it is time to move their loved one(s) into a senior care community, the family is trusting the care provider’s facility, equipment, and staff to keep their loved ones safe. RTLS In Motion allows resident’s family to rest assured that wherever their loved one is located, they will have access to help. Our resident worn pendants track resident’s location as they move throughout the facility, so when a resident calls for help using our wireless pendant, they can immediately receive a staff member to their exact location. With the added benefit of location tracking, the RTLS In Motion system can track resident’s activities and interactions with other people or staff. These interactions allow the system to create comprehensive reports detailing the average day for each resident and calculating their draw on resources. Unfortunately, if a resident’s health declines over time, they are not always able to relay accurate information about the level of care they are receiving. 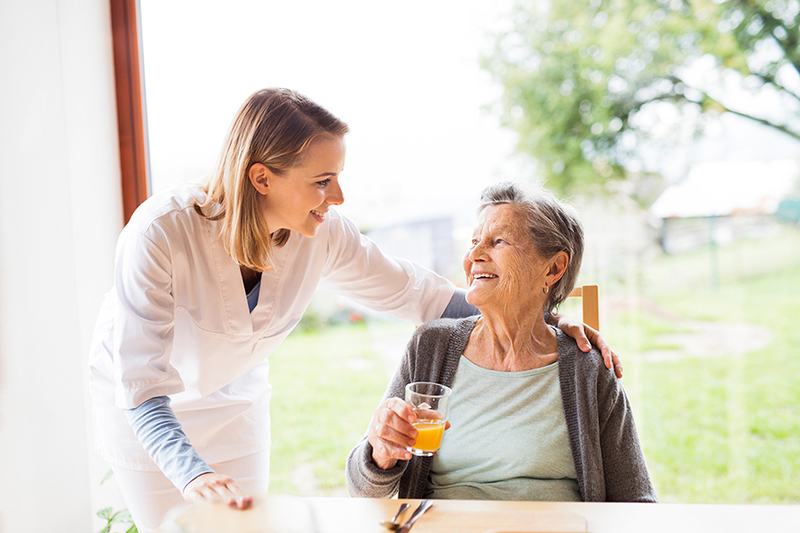 The resident’s family can only assume the level of care received through observations during their visits, and from what their loved one communicates. Our reporting feature puts the resident and staff’s activity on paper, providing concrete evidence of the level of care they receive, in the event of any discrepancies with the family. The reports show resident’s activity, attendance to events & appointments, any interaction with other residents & staff, as well as the frequency, duration, and response time of their help calls (useful for billing). RTLS In Motion creates the framework to provide exceptional care, as well as communicate the excellent care that your staff delivers.